You will notice that branding has changed ominously over the years, and marketers need to learn the new rules fast in order to adapt to the new technologies. The digital revolution has brought about changes too on the way we do marketing. Branding is the name of the game and while social media and content branding strategies are good, the website plays an important role in branding. In building a brand, you need to create a website to set your brand apart from its competitors. Every marketer knows that when marketing your brand online, it begins and ends in the effective application of web design and web development. The main page of every website is the most significant brand ambassador. Web design should not be isolated from your marketing efforts because web design is more than aesthetics. In Short, your web design affects your company’s internet presence through SEO, traffic, branding and conversion rates. When it comes to emphasizing your online presence, there are many things that you need to consider. To a digital marketer, it is not by simply creating a website. It needs to have the right SEO tactics and to constantly nourish it with the right elements. There are numerous factors that can be contributed to a successful online presence but before going any further, let this discussion focus on the most basic that make up your online identity, your website design. The website design can either make or break your business and the message you want to deliver. It creates an impression on your target audience. How they will view you via your website design can potentially convert them into customers. The design elements are actually more powerful than the web content but both of them are important. They go hand-in-hand and cannot work without the other. While design satisfies the eyes, it can also affect other factors in your business in particular SEO, conversion rates, and branding. Your approach to web design with SEO in mind should be long-term. Although you cannot ignore the designs trends, you also have to think about your brand and its online presence to last. On the other hand, your design should also be responsive. Just an important reminder when correlating these two terms, your web design is not the brand; it is only one of the brand elements that can help you win the trust of your audiences. Branding is a long-term investment wherein your goal, in the end, is for people to say that your business is the brand they trust. It is all about perception. Therefore, the brand elements like logo, packaging, and trademarks are just shortcuts to these perceptions. Consumers have the tendency to be drawn to the brands they trust. Their buying decision is anchored on a product that whose brand strength is high. Therefore, applying this premise to the web design perspective, it is more likely that your design elements will directly affect the market position and overall branding strategy. There are several components to creating a brand identity and one of them is your web design. A compelling web design will help build the reputation of your brand and establish recognition because it will convey credibility and trust. Your web design is also a visual representation and your brand identity for people to recognize your business. To make your web design an effective brand ambassador, make sure that its focus on giving the visitor a memorable experience. This should be the focus of the design. The colors, visuals and typography that you use should have a distinct effect. It should create consistency via repetitions of the same pattern all throughout the web pages. It should also have a unique and consistent tone of voice. Each business has its own personality they want to project. Make sure this personality shines through in your website in both the content and the design elements. It should be able to communicate and does not sound very corporate. As a brand ambassador make sure that your design can influence your audience and it is something they can associate with. Every time a visitor lands on the website, they will likely to spend a few seconds analyzing what you do and what is your type of business. In web design, you should be able to introduce your brand during this time. Make your logo visible. Also, add a value proposition, a short statement that focuses on the benefit you can provide. Try to capture the essence of your brand and what it can do for them. This will send the message that they are in the right place. The most important factor for your web design to be an effective brand ambassador is to stand out from the crowd. Your web design must be unique for it to be memorable for the visitors. You need your brand to one of a kind to a have distinction among its competition in the same niche. An extra effort to make sure that you are creating a unique brand through your web design is required. In this digital age, the website is a necessity for any company to reach out to their customers. A brand ambassador is important to help increase brand awareness and sales. There are many elements to a successful branding but nothing is more important than web design as your brand ambassador. Your web design can serve as part of the promotional strategy to strengthen the customer-product-service liaison and inspire larger audiences to buy more. 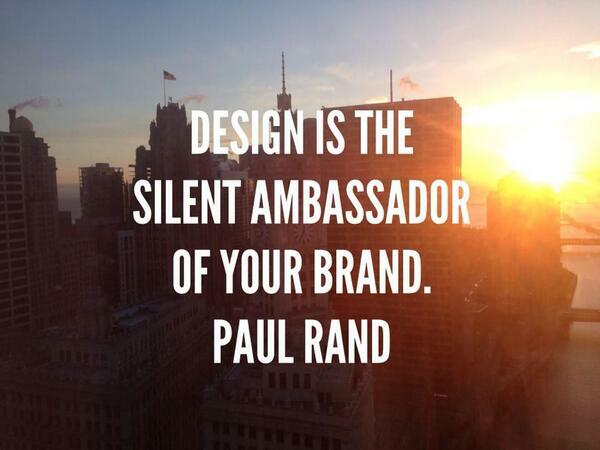 Therefore, the web design should stand out to be a brand ambassador. Your web design elements and content must be doing everything to convey the right message for your brand. Your web design must be able to tell a story about your brand and delivers a clear answer as to who you are and what can you offer me.